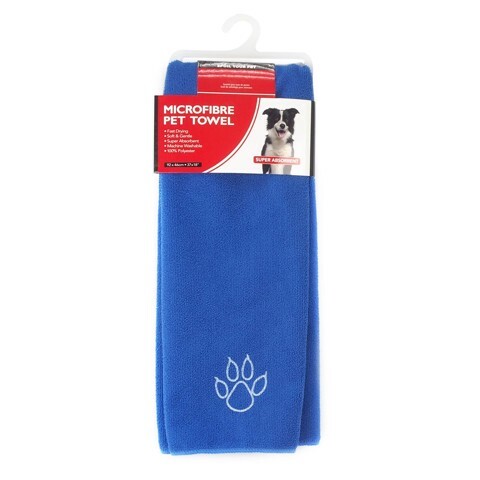 Pet Towel Microfibre 92X46Cm. 92 x 46cm. Blue | Grey. Paw Print in Bottom Corner. 100% Polyester. 220G Packaging: Header Card with Plastic Hanger.